A classic, large scale, atlas is Will Tirion’s ‘Sky Atlas 2000 2nd Edition’. This can be obtained second hand for ~£64 (~£150 new). A smaller version, also by Tirion, is the ‘The Cambridge Star Atlas 4th Edition’ that can be obtained new for ~£25. However, there is no doubt that the best, by far, is the new ‘Interstellarium Deep Sky Atlas’ by Stoyan and Schurig (Cambridge University Press – CUP). This contains 113 charts showing stars down to 9.5 magnitudes with clusters, galaxies and nebulae shown in colour. The size and saturation of the font for each object indicates what sized telescope (4, 8 and 12-inch) could be used to observe them visually. The cost is now ~£60. 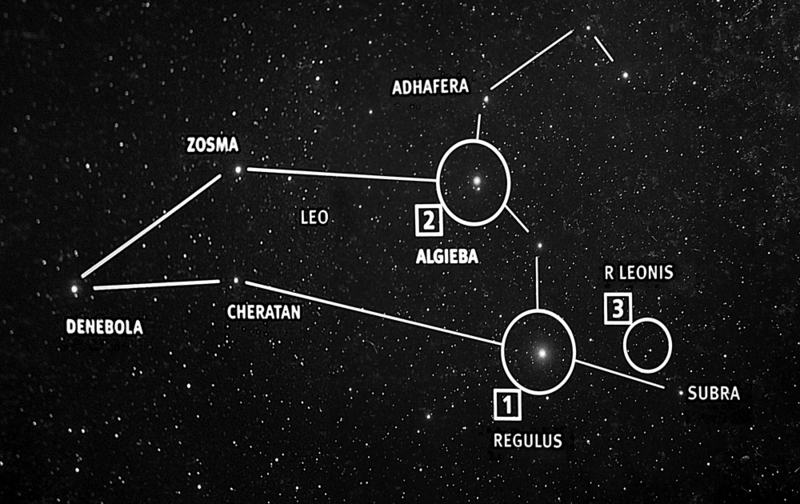 The two figures below show the Cassiopeia region and a larger scale crop of the lower left part of the plot. A wonderful photographic star atlas, ‘The Great Atlas of the Stars’ by Serge Brunier, includes star fields taken by Akira Fujii and uses transparent overlays to highlight objects within the field. This can be bought second-hand for ~£25 (new £131!) and I urge you to buy one. A small section is shown in Figure below. A more modern photographic star atlas is ‘The Cambridge Photographic Atlas of the Stars’ by Axel Mellinger and Ronald Stoyan which is available new for ~£40. The star fields are wonderful but not so ‘artistic’ as those taken by Akira Fujii. A classic, hand drawn, lunar atlas is the ‘Atlas of the Moon’ by Antonin Rükl. It is well worth seeking out a second hand copy. (New copies are VERY expensive!) A superb photographic atlas is the ’21st Century Atlas of the Moon’ by Wood and Collins. This is ~£25 from Amazon but may be found for less. The, large scale, ‘Times Atlas of the Moon’ is based on the Lunar Surveyer images and charted by the US Air Force. This is the highest resolution lunar chart available and can be bought second hand for ~£64. A wonderful, and low cost (~£10), beginner’s guide to what can be seen in the heavens has been written by Robin Skagell. Titled ‘Philip’s Night Sky Atlas’, it includes star charts by Will Tirion along with photo-realistic versions of the same regions and four excellent (one for each quadrant) lunar charts. There are sections on each of the major constellations and the objects to be seen within them and guides to observing the planets. Also, no beginner should be without ‘Turn Left at Orion’ by Guy Consolmagno (the Pope’s astronomer) which describes one hundred objects to observe with binoculars or a small telescope. It can be purchased from £16 new. Two of its charts are shown below. The Messier Catalogue is covered by many books. A most impressive book, with wonderful large scale images, is ‘Atlas of the Messier Objects’ by Ronald Stoyan (CUP). It is available used from ~£33. A further excellent book also published by CUP is ‘Deep Sky Companions: The Messier Objects’ by Stephen James O’Meara. He has also written further books in this series: ‘The Calwell Objects’, ‘The Secret Deep’, ‘Hidden Treasures’ and ‘Southern Gems’. All are well worth buying. A slim, but excellent book, worth tracking down is ‘The Messier Album: An Observer’s Handbook’ by John H. Mallas (who produced the text and drawings using a 4-inch refractor) and Evered Kreimer (who took the photographs using a 12.5-inch reflector). This can be obtained second hand from ~£22. It includes a biography of Messier and a copy of his original catalogue (in French!) and gives an excellent feel of what we can expect to observe ourselves. A final excellent book is ‘Messier’s Nebulae and Star Clusters’ by Kenneth Glyn Jones – £44 in paperback. The classic, free, planetarium program is ‘Stellarium’ which has much to commend it. It is available for Linux, Mac and Windows computers and includes 600,000 stars. I actually prefer Sky Safari Plus’ which costs about £10 but is only currently available for Mac computers and iOS and Android tablets and phones. My Mac version is used to control my telescope mount through a ‘SkyFi’ wi-fi link and automatically downloads ephemeredes for comets so making them easy to locate. 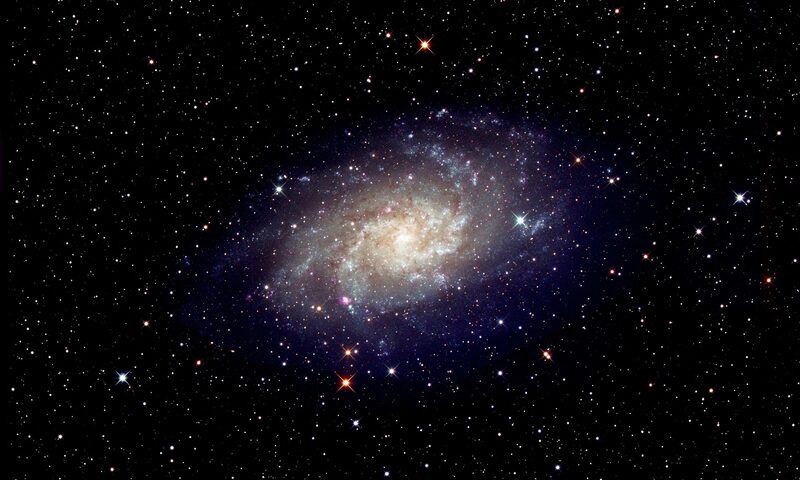 There is a ‘Pro’ version which includes 12 million stars and 740,000 galaxies! To keep track on the Moon’s phases and surface features, an excellent free program is ‘The Virtual Moon Atlas’: https://sourceforge.net/projects/virtualmoon/. 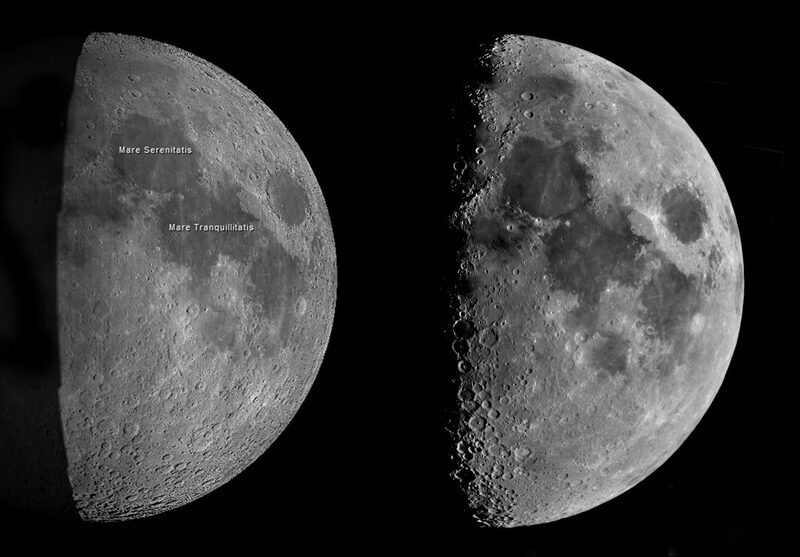 A comparison of its chart and the author’s image at the same lunar phase is shown in Figure below. 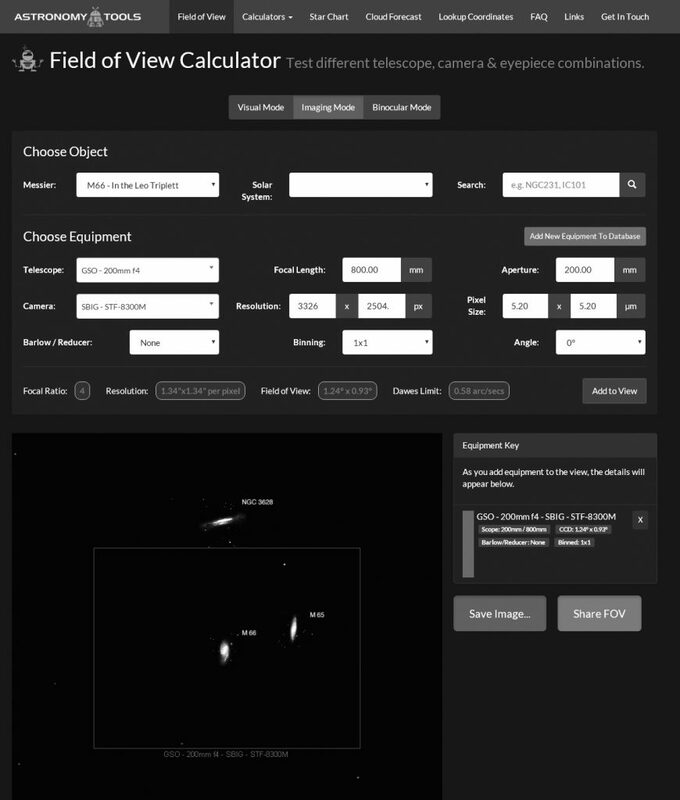 A very useful program for imagers is the ‘Field of View’ calculator found at http://astronomy.tools/calculators/field_of_view/. This allows one to select a very wide variety of telescopes and cameras and shows the field of view that will be seen relating to many astronomical objects. The figure shows the field of view that would be achieved when using an 8-inch, f/4, Newtonian and an 8 Megapixel CCD camera when used to observe the Leo Cluster of galaxies. My own ‘Night Sky’ page ‘www.jb.man.ac.uk/astronomy/nightsky/’ is as probably as good as any and gives details of what there is to see each month with details of the planets and constellations that are best seen along with a list of ‘Highlights’. The Sky & Telescope page written by Alan MacRobert gives details on a weekly basis: http://www.skyandtelescope.com/observing/sky-at-a-glance/ . The National Schools’ Observatory gives star charts for each night at http://www.schoolsobservatory.org.uk/astro/esm/nightsky. An excellent website to follow events relating to the Sun, Aurora and comets is ‘http://spaceweather.com/’. A further Sky & Telescope page, ‘http://www.skyandtelescope.com/online-gallery/planet-pictures/’, posts images taken by readers of the planets and is well worth following.